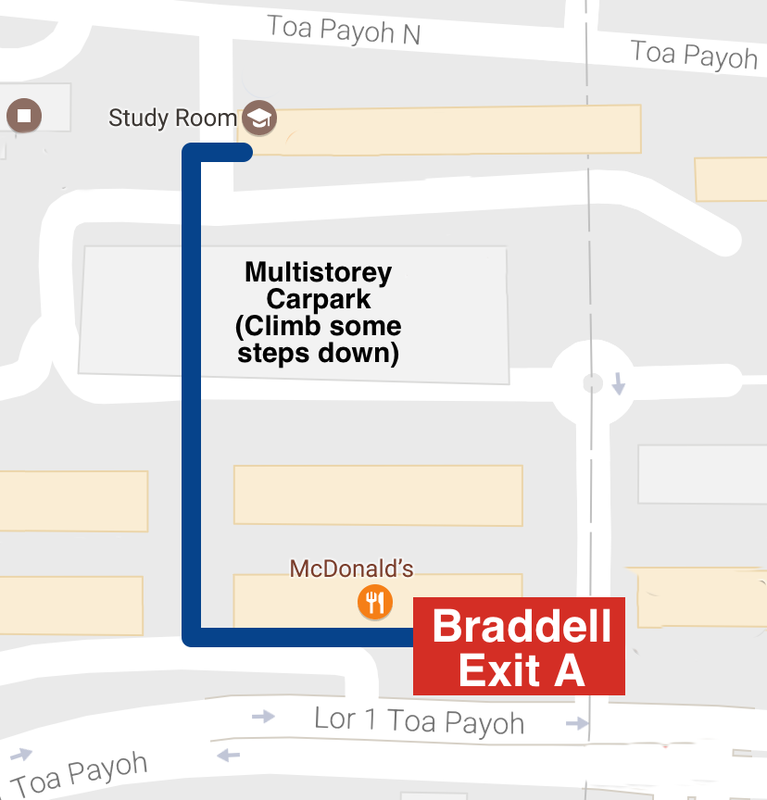 The path from the MRT to us is entirely sheltered and takes about 3-4 minutes (follow the blue line on the map below). Proceed to exit A from Braddell MRT. Head towards McDonald’s, until the end of the block. Turn right and walk towards the multi-storey carpark and walk through it. There are some steps to climb down at the carpark. We are at the block behind the car park. Here’s a 16s video on how to get here from the MRT.